Judge whether your meat, chicken or fish are cooked to perfection with this precision thermometer. Pre-programmed. Six meat settings. Stainless steel. 14” long. Uses 2 AAA batteries, not included. Gift boxed. 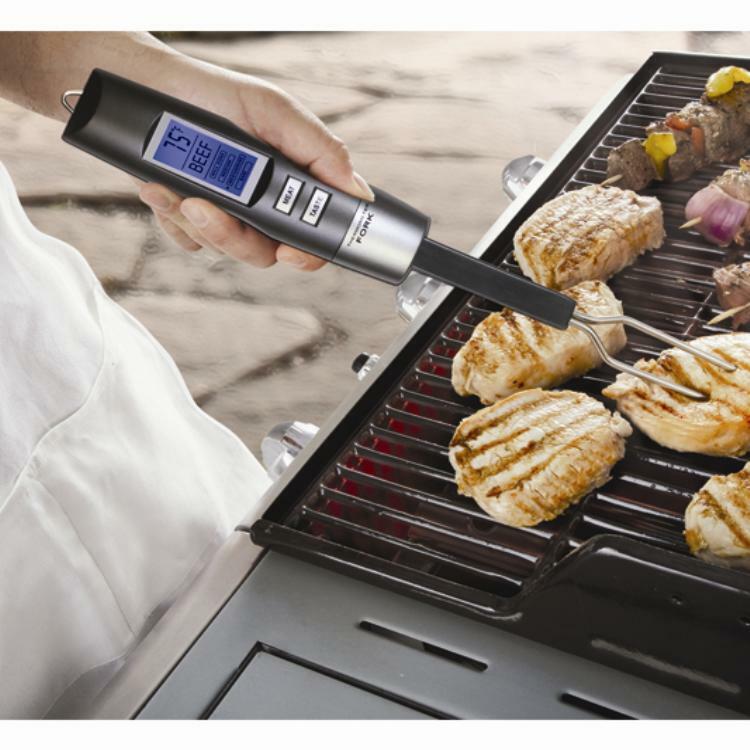 Judge whether your meat, chicken or fish are cooked to perfection with this precision digital thermometer. Pre-programmed. Six meat settings. Stainless steel. 14” long. Uses 2 AAA batteries, not included. Gift boxed. Share this item with your family and friends and join the millions to help Stop Diabetes®.